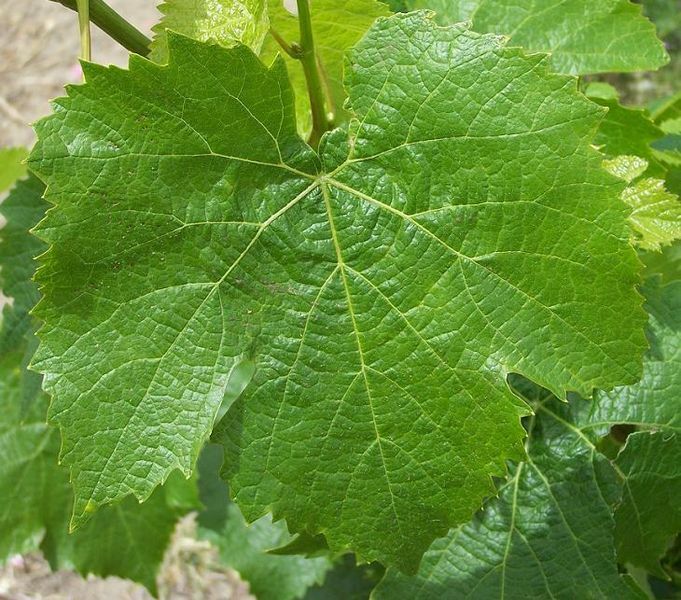 A lovely Petit Verdot leaf. A fabulous trend I’m a glutton for is the “micro” trend. Not microwaves, microfiber, microfiche, or Microsoft even, but microwineries… limited production facilities where the wine is high quality because it benefits from the extra love and attention of the winemaker, like an illustrious private school for grapes. Also, the grapes can be from prized, small lot vineyards. Microwineries (and breweries, for that matter) are concentrated havens of artisanal artistry and craftsmanship. Fortunately, micro is no trend du jour; it is a permanent fixture on our gourmet food and beverage landscape. Has the espresso-to-go trend died yet? Nope, and neither will this! We humans love our high-quality handcrafted beverages, and we’re willing to do whatever it takes to get our hands on them. As we get less and less handy in modern American society and purchase more of our needed items pre-made, do you think there is a correlation to our desire and propensity for all things “hand-crafted?” Discuss. A particular wine from a particular microwinery I’m quite fond of and that I encourage you to try is the Andrew Rich Vintner 2008 Columbia Valley Petit Verdot Ciel du Cheval Vineyard. This treasure was found on one of our Willamette Valley wine trips. First of all, who is this winemaker, Andrew Rich? From the winery website: “Named one of Wine & Spirits magazine’s top 100 wineries of 2009, Andrew Rich Wines has been crafting distinctive wines in Oregon’s Willamette Valley since 1995. Along with Pinot Noir, Rhône Valley varietals from the Columbia Valley–including Syrah, Roussanne, Grenache, and Mourvèdre–take pride of place, though the winery is equally well known for its seductive Gewürztraminer dessert wine. Production averages 5,000 cases per year.” (www.andrewrichwines.com). Andrew Rich crafts his premium wines in the state-of-the-art Carlton Winemakers Studio, the nation’s first “green” cooperative winemaking facility. An “environmentally friendly facility,” the Studio is home to several wineries that seek to produce wines of the highest caliber. My husband and I showed up there five minutes to close, but the gal in the tasting room was kind enough to let us do a quick tasting and we loved the Petit Verdot and wound up taking a bottle home. On a side note, what should you call someone who works in a tasting room? Might I suggest something colorful, like Bar-ista, Grape Goddess, Sip-erintendent… stop me now! What is Petit Verdot? Single varietal Petit Verdot wine is like black ink in a glass. Petit Verdot is typically used in small quantities in Bordeaux blends to lend tannic structures and flavors. Just remember, if red wine grapes are on a spectrum of darkness/thickness/intensity, petit verdot is as far away from the light as you can get… a dark, inky black wine with dynamic flavor and complexity. It is more successfully cultivated as a single varietal wine in the New World as opposed to the Old World (aka the cradles of civilization where wine was first made, e.g. France, Greece, Italy, Hungary, etc.). How did “A Whole New World” get stuck in my head? Great, moving on…. Perfect in time for Halloween: a dark, mysterious red wine! Hop on board the microwinery train with this Petit Verdot!